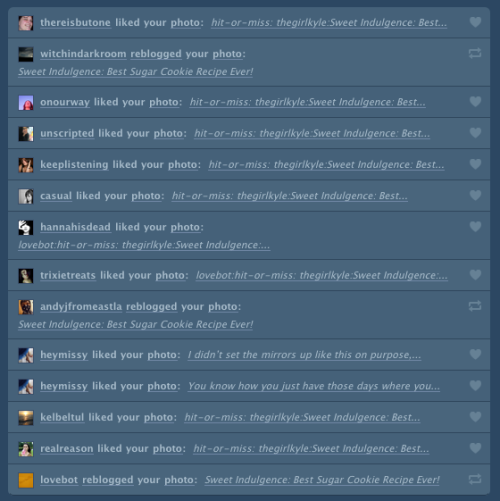 LOTS of love today on the ol Tumblr! I’m lovin’ it! Really! Promise. Thanks guys. Thank you hit-or-miss too!